This Monday, my family and I went to the Aquarium in U.S.A. At the aquarium, I saw many interesting fishes and aquatic animals. Besides looking at the sea otters, seahorses, jellyfishes, hammerhead sharks, tuna fishes, starfishes, penguins, octopuses and many other fishes, we also went to the touch pool and listen to a talk in the auditorium. Among all the things I did at the Aquarium, my favourite three is listening to the talk, looking at the seahorses and the jellyfishes. At eleven thirty, we went to the auditorium for the talk. First, the speaker told us that there was a research centre near the Aquarium, showed us what was going on in the ocean at that moment. There was a machine that was used to test the percentage of gases in the water, but since there was nothing much going on in the ocean at that moment, the speaker continued the presentation. She told us that the Earth is 90% water and so far scientists have explored only 1% of it! In fact, we know even more about Moon than we know about the deep sea.The speaker then showed us videos, pictures of different fishes, like the Tripod fish that has three long fins, which pierce into the sand to keep it from getting washed away by the waves. This makes it look like a tripod stand; therefore it is called the Tripod fish. There was also a long jellyfish that had long tentacles whish hang down to shock small fishes. The tentacles would then bring up the food to the jellyfish. My favourite fish the speaker showed us is the Dumbo Octopus. It is small, cute, and beige in colour. 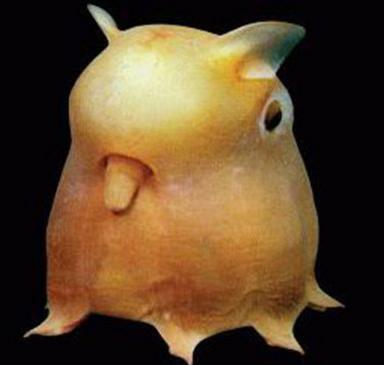 Unlike other octopuses, the Dumbo Octopus has no tentacles. At the Aquarium, there was a separate section for looking at seahorses. We walked through it, looking at the different kinds of seahorses. They had small fins on their backs to help them to swim, and the fins moved so fast they were vibrating in the water. I also found out that seahorses twine together during mating. My favourite seahorse that I saw is the leafy seahorse. To camouflage with their surrounding habitat, the weeds, they grow “leaves”, even on their mouths! Do you know whether jellyfish are a kind of fish? Well, before I went to see the jellyfishes, I considered them to be fishes. But, when I went there, I saw a sign that said that jellyfish are not fishes because they do not have fins and gills. There were different types of jellyfish there, like the egg yolk jellyfish and the moon jellyfish. An interesting one that I saw was a jellyfish that gave out lights, making it look like a toy run on batteries. The egg yolk jellyfish is a mess of tentacles, and is a slight shade of yellow, so it looks like an egg. During this trip to the Aquarium, I have learnt many interesting facts, and I wish that I can come again!